Conservatives are, in general, awful at dealing with the media. They seem to think telling the truth will be enough to cut through an undeniable and unreasonable bias. It never is, despite their best efforts. However, we've now seen the ideal way to respond to media requests, courtesy of David Kensinger. Kensinger, as insiders know, is a former adviser to Gov. Sam Brownback. He's now a lobbyist. And he trolled the media so hard that I can't stop laughing about it. Senate Minority Leader Anthony Hensley filed a police report alleging that Kensinger threatened him by pointing a finger gun in his direction and mouthing the word, "Boom." When the Kansas City Star sent Kensinger an email inquiring about allegedly threatening a lawmaker, Kensinger responded with the word, "Seriously?" 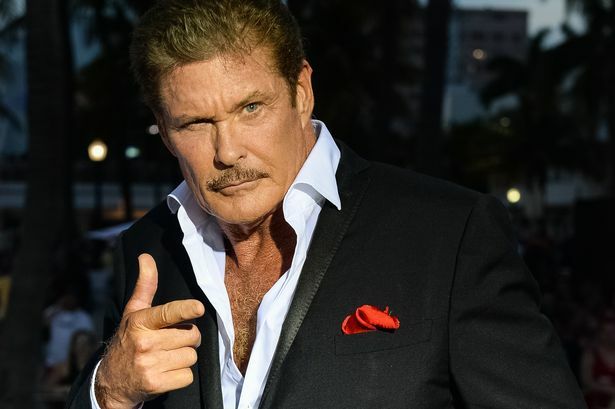 and a picture of David Hasselhoff. This is how conservatives should respond when asked something ridiculous--with a picture of the Hoff. I only wish I'd thought of it first.